Shani Jayanthi or Shani Amavasya is a day of new moon when Lord Shani who rules planet Saturn was born. Shani has a strong influence in the life of all, according to Vedic astrology. It’s a day of worship of the lord who can change your destiny according to his will when he is malefic in your birth chart. People with seven-and-a- half-year Saturn and other doshas fast and pray on this day. Prayers on this day bring luck and fortune and Shani’s position along with the other Navagraha’s should be feasible for one to progress in all matters of life. This year it falls on May 15th, 2018. shani graham shanthi homa and Mahakali homa on the day of shani jayanthi can be very apt and highly propitious to arrest the ill-effects of the most feared planet in the astrological system. Shani Jayanthi is quite special for people whose horoscopes are inflicted by Shani dosha. Rituals and religious ceremonies relieve the Saturn inflicted persons from all types of distresses caused by malefic Saturn. Yagyas also keeps off the terrible influence of witchcraft, black magic and other negativities. He is ready to help others if he is satisfied with the rituals and gives results according to Karma of the individual. Shani Jayanthi is also the birthday of the fearful planet and he gets pleased on the day when invoked. it also helps to remove malefic effects of Shani and get rid of negative energies from life. 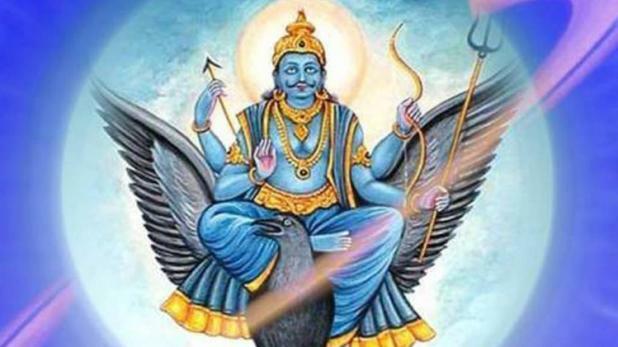 For those with doshas in the horoscope like seven and a half year affliction or other types of impediments due to Saturn, the Shani Jayanthi seems right to please the planet and earn his blessings. people also visit temples to pray to the planet god for good fortune and prosperity. Nothing can be more ideal than praying Goddess Mahakali on Shani Jayanthi because she controls the Planet Shani. Goddess Mahakali can suppress the evil effects of Shani and bring goodness into your life. It helps to knock off your internal and external enemies that cause trouble in your life. Worshipping the goddess on the day gives your wealth, spiritual and material blessings and higher knowledge. The procedure for Shani homam on Shani Jayanthi involves Kalasa Avaganam that is bringing the powers of Saturn to a kalasa or energised pot filled with aromatic water and covered with coconut and other decorations. By chanting mantras with sanctity and devotion, the deities’ powers are felt and thereby he is formally invited to the ceremonies dedicated in His name. Shani Graha Shanthi Homam is carried out to pacify planet Saturn and to get the endowments of the lord so that life goes on easily. It also helps to minimise malefic impacts so that peace can be restored in your life. Saturn is the lord of Karma. Saturn presents all proceeds to those enthusiasts who petition him with full commitment. Shani Shanti Homa is said to assume exceptionally crucial part to mollify a malicious Shani to evacuate or minimise the malefic impact of Shani i.e. Saturn on you and to grant good luck, peace and prosperity. Mahakali is the dominating energy that prevails in every moment of your life. She has the power to rule your inner consciousness. She’s the most influential deity who gives immediate results. When a ritual is performed in her name in a perfect manner, she blesses her devotees with ashta siddhis and fulfills all aspirations. Goddess Mahakali puja combats the effect of Black Magic, gets rid of evil eye, and brings success in professional and personal life. This homa also protects from the unsustainable malefic effects of Shani or Saturn. Shani can cause impediments in your life during its main and sub period, mahadasa and antradasa or when it is malefic during its seven and a half period or when he is in the fourth house arthashtama shani or eighth house ashtama shani. During these periods, he causes disturbances in the lives of the natives. The Mahakali Homa thwarts all the ill effects caused by this dreaded planet. It protects you and your family from very serious dilemma like sudden death, black magic, evil spirits and others. Gulika or Mandi is the offspring of Saturn and are quite visible in the natal charts. They play a significant role in fixing the lagna in a horoscope. They are not beneficent in nature and can have negative effects on marital prospects if wrongly placed. A puja to the planet can give you good blessings, remove doshas and open up new possibilities for all. Lord Dharmaraja or Yamaraj is the Lord of Justice. He decides the amount of pain, suffering, fear and sorrow that one would endure in life. Even death may be looming large in front of you. With these critical adversities, no one can make any advancement. A Puja to Dharmaraja makes sure you stay clear of all doshas, get peace and happiness by removing problems and protecting yourself from painful death. This popular shrine is dedicated to Saturn and is situated in Thirunallar in Karaikal, Union Territory of Pondicherry. Though the planet god is very famous here, the presiding deity here is Dharbaranyeswara, Lord Shiva self manifested in the form of a Linga. It is strongly believed that during the troublesome period of seven and a half years when the Planet Saturn colonises a particular Zodiac sign, a puja in this temple, especially on the birthday of the dreaded planet, wards off all malefic effects and provides succour to the affected person. Shani Yantra reduces the ill-effects of malefic Saturn and brings the blessing of Lord Saturn and helps one lead a life of peace and harmony. It provides succour to all types of malefic effects of the planet. It reduces depression, gives success in business and paves way for you to reach top heights in all matters. The yantra with mantra engraved on it is more powerful than the image of the deity itself. Get hold of a free Saturn prediction report for your moon sign. The report reveals a detailed analysis of how Saturn afflicts your moon sign and suggests astrological remedies you need to perform to solve hurdles, if any. It also analyses the problems of your life and suggests measures to eliminate them. For others who are not under any negative influence, the report will analyse the changes both good and bad in many aspects mainly career, love, relations, wealth and health.